Bimmers Only is proud to announce that we are a Bavsound authorized dealer. Bavsound sells a wide range of audio upgrades for your BMW, ranging from speaker upgrades and replacements to iPhone and Bluetooth integration. The best part is, most Bavsound’s products are completely plug and play. All you have to do is unbolt and remove the factory component, and plug theirs in. 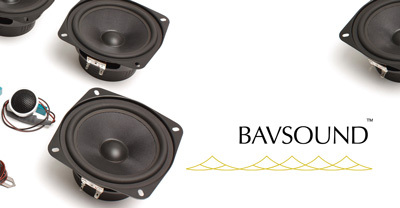 For amazing sounds at an unbeatable price, Bavsound truly delivers. Once you purchase your audio upgrade, come to us for any installation needs, troubleshooting, concerns or questions. Our skilled staff knows Bavsound products inside and out! Why go through all the trouble to modify your BMW’s interior, cut, or drill to enjoy great sound? Instead, choose products designed to install easily and maintain the integrity of your BMW. Bavsound offers a 100% guarantee and up to four years of warranty coverage to give you peace of mind in protecting your investment. We can help you install all of those. Trust the experts at Bimmers Only, specialists in BMW Repair and Service in Dallas and Plano, to get the job done. Click to learn more about their BMW iPhone & iPod integration kit. Please contact us if you have any questions about Bavsound upgrades at 469-585-7718 in Dallas or 469-585-7754 in Plano. Or, just shoot us an email at info@bimmersonly.net. What is Bavsound all about?